Is NYC Mayor Bill de Blasio Gearing Up for a 2020 Presidential Bid? 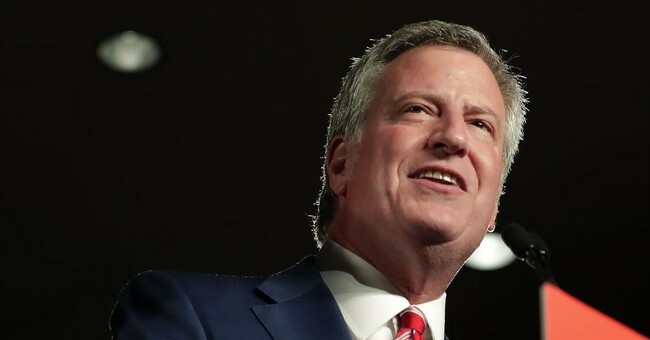 New York City Mayor Bill de Blasio may be testing the waters for a 2020 presidential bid. The recently reelected mayor is making a stop in Iowa on Dec. 19 for a fundraiser at the Temple of Performing Arts in Des Moines. According to the Des Moines Register, the fundraising event is for Progress Iowa's "holiday party." Iowans are speaking out and showing up to fight back against what conservatives are doing to their state and our country. Standing up for quality public education, access to health care, and to make sure working families get a fair shot matters in Iowa and New York, and I can't wait to discuss those ideas as well as how we can work together when I visit in December. In the short statement, De Blasio was able to take a shot at conservatives and mention a series of issues that are still of concern to voters. De Blasio is familiar with Iowa as he has campaigned there for politicians in the past. However, that fundraising hasn't paid off for the candidates he has endorsed in the long-run. The mayor has campaigned for former presidential candidates Hillary Clinton and John Edwards in the "Hawkeye State," but both would go on to lose their presidential bids. The mayor has become a familiar face in the world of politics and is popular back home in New York City. Though Iowa went red for Donald Trump in the 2016 election, De Blasio and Democrats will start making attempts to turn the state blue now. Every four years when there is a presidential election, it all starts in Iowa as the state holds the first caucus for both parties.